Why buy a F150 with towing package? Just use this immensely sturdy SmartTwingo. 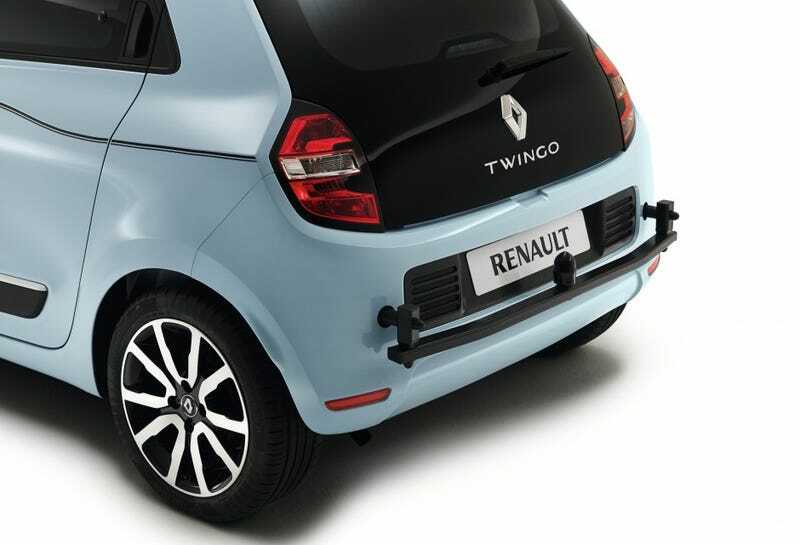 Never figured a tow bar on a new Twingo would look this ridiculous, mind you this is an original Renault accessory. It’s weirdly high, and I suppose it cannot really tow any trailer, but can just be used for bicycle carrier. Why not design a bicycle carrier to fit directly into those mounts Renault? Or is this a Smart thing? Stumbled upon this while google image searching Twingos to kill time and get some ideas for mods. I would kinda dig those wheels on my Twingo, too bad they are wider in the rear, which would be useless on my FWD Twingo.